In the metaphysical communities we are taught to use shielding to protect ourselves from the energies around us. We are told that as we start our journey into deeper realms we will meet energies that are dangerous and harmful or that we will become affected by the energies of other people, some of whom are suffering deeply. To start with I tried these methods but I found I tended to forget. This is nothing new for me, I am not a routine or ritualistic kind if person, but it also didn’t feel right somehow. Over time I have realised that this method is great to start off with, but there are better ways of going about dealing with these more challenging energies. The first problem I have with shielding is that it sets up the thought process that we are too weak to deal with other people’s emotions; that we need to hide behind something to be safe. As a survivor of relationship abuse I refuse to take anything on that gives me a subtle message that I am weak, or at least not strong enough. I want to become strong enough, energetically and personality wise, to be able to handle whatever the world throws at me not hide away in fear. When we consider flood water it has been found that blocking the water simply causes problems elsewhere or it just backs up and breaks the barriers. 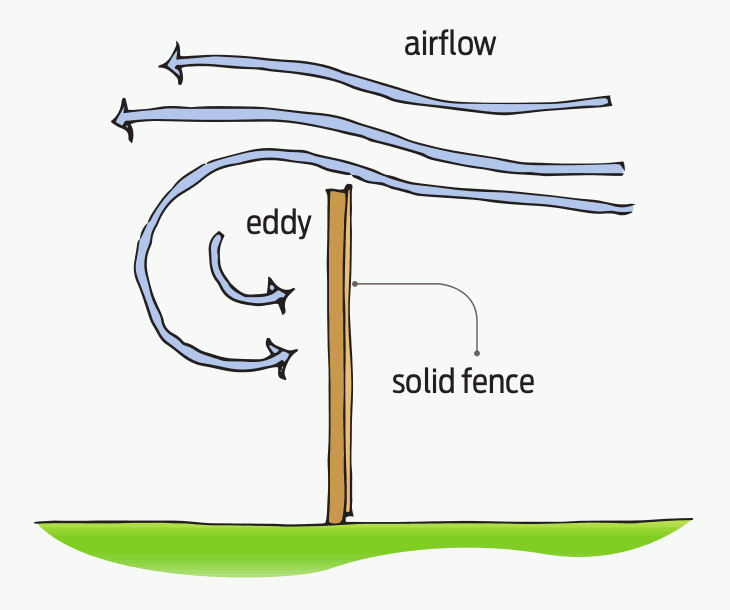 Another example is fences, if you put up a solid fence not only will wind push against it and eventually push it over, but as it flows over the top it causes a vacuum causing suction and air moving rapidly in the wrong direction. What the experts have learnt is that there needs to be a way to channel the water or air through the area in a slower, safer manner. This causes less of a backlog and allows movement of the damaging force. So, when considering the flow of energy it appears that a shield may not necessarily the right tool for the job. 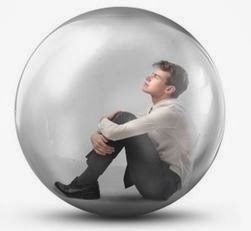 If we look at the methods we are taught to shield we are told to visualise things like donning armour or creating a bubble around us. 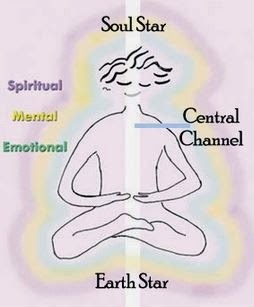 This process of visualisation allows us to create metaphysical structures that protect us from these harmful energies. What if, rather than simply using this tool to block the energy we use it to create channels that the energy can pass through without harming us? At the cinema last week I was feeling a little overwhelmed by all the noise and visuals of the Jason Bourne film we had gone to see. I like action films but I was starting to feel it all becoming a little too much. I could have just blocked it, but instead I visualised two trumpet like bells, one either side of my shoulders, that had tubes running down either side of me and out behind me. The energy that was too much just went through the tubes and past me without having any effect. In another situation, a few months ago I realised that I was taking on too much planetary stuff, in particular the EU referendum was kicking my arse. So, I worked with the antahkarana; the column of light that connects our chakras. It runs from above our head, down the spine and into the earth beneath our feet and acts a bit like a drain pipe allowing energy to flow from Spirit, through us, to Mother Earth. The problem with this “structure” is that it can become disconnected and blocked. When I felt I was taking on too much I spent a moment simply checking that the top was aligned with Spirit and the bottom connected to Mother Earth. In doing so I realised there was a “plug” at the bottom caused by me feeling I needed to care, I needed to feel the country’s pain so I could bear witness to it. I pulled the plug and let it all flow…. I instantly felt better, more grounded, more calm, more “me”. I realise that humanity needs people who can channel and heal these harmful energies. We need to start finding tools so that we can do this rather than acting like energetic nimbys and turning our back on it for fear of it harming us. W don’t have to hold onto it, we can just let it flow through us and away. I am still working on this tool and I believe there should be a way of not only channeling this energy through to Mother Earth but also healing or transmuting it as it passes through. As I progress I will add to this blog.